ConservatoryLand manufacture and supply made to measure PVCu DIY conservatory kits to your door. All of our DIY conservatories are pre assembled prior to delivery making self - assembly even easier and faster than ever before. Glazedale design, manufacture and install energy-efficient UPVC double glazed conservatories, orangeries, doors and windows throughout the East Midlands. Manufactured in Nottinghamshire, our products use only the best quality materials and components to give you the most stylish and durable products possible - all with our 10 year guarantee. 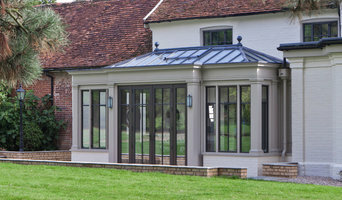 Your bespoke design of conservatory or orangery will suit your home perfectly, whether traditional or contemporary and no matter what the size. 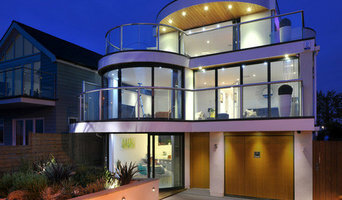 We offer a complete service including: * Specialist survey and design services. * Planning advice if you need it. * Digging foundations and completion of patio if you need it. * Brickwork, roofing, doors, electrics and lighting, tiling and plastering. We offer a wide range of colours and finishes from classic white and traditional woodgrain finishes through to more adventurous options - with a sprayed product, the choice of colours is endless and guaranteed to give you something special. We are pleased to be finalists in the Manufacturing Excellence category of the 2016 Midlands Family Business Awards and to have been Highly Commended in the People's Choice Award - many thanks to everyone who voted for us. Tricept Glass Ltd are specialist glass consultants who have an architectural background and supply and install all glass related products. We have recently been appointed by Vitavia to be their online supplier of their renowned greenhouses Our aim is to make good design affordable and only use the best materials and design values to create stunning glass products. We are the only supplier of high quality diy conservatories and bases in the UK with 20 years experience that offer an online price in 4 Easy Steps 24 hrs a day 7 days a week to the public and trade with all standard sizes, shapes and style options. We also offer a complete survey and fitting service to the diy and trade conservatory market which help in installation of your conservatory. Diy Conservatory Quotes get an online price and save money with time. 10 Year Guarantee with Free Home Delivery and join the thousands of satisfied customers. Cabin Master is the UK's leading manufacturer of Garden Rooms, Offices, Studios and Cabins. From our factory and showroom complex in Derbyshire, we supply quality Garden Buildings throughout the country. With prices starting from less than £6,000 (including VAT) delivered and installed, that extra room is just a phone call or email away. We combine manufacturing excellence with exceptional customer service. We offer friendly and helpful advice about your office or studio and we will discuss your precise requirements to create the building of your dreams. 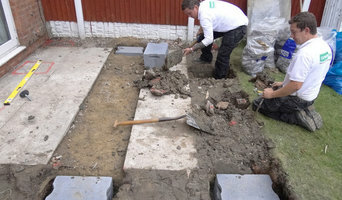 We will survey your garden for free and then provide a detailed quotation later by email. With thousands of happy customers across the UK, we are determined to maintain our commitment to 100% customer satisfaction. Our unrivalled no-quibble warranties give complete peace of mind, and our courteous and professional installation teams ensure that everything is completed on time, in budget and without any fuss. 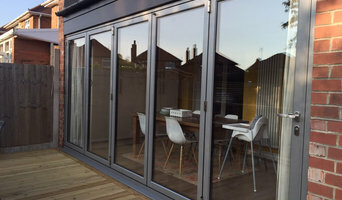 We are based in Bolsover, UK and are able to supply the people of East Midlands with our wide array of home improvement solutions available at Broadoake, we are able to offer Bi-Fold Doors, Conservatories, Windows and much more. We offer a personal service and a bespoke design solution to your Conservatory, Orangery or Garden room needs. We work with our clients and their property to get a perfect 'fit' and ensure that our clients are delighted with the result. A UK based international service provider offering specialist well testing, flowback and production services.Well testing and flowback equipment provision is our core speciality. We also provide additional expertise and services in production support, well integrity, petroleum engineering, completions and workover services. 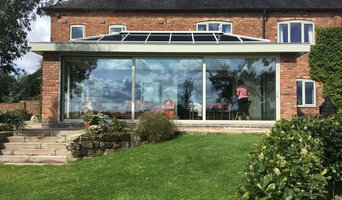 Building a conservatory, sunroom or orangery can be quite a substantial project, so it’s a good idea to hire a professional designer or specialist conservatory builders in Nottingham, Nottinghamshire who have a lot of experience with conservatory installation or constructing bespoke glass extensions. Although the advantage is that with a conservatory planning permission isn’t always needed. With Houzz you’ll be able to see examples of pros’ previous conservatory or orangery designs, so you can determine which Nottingham, Nottinghamshire conservatory specialists will be best suited to your project. You can easily find contact details on the professionals’ profile pages and then you’ll be able to receive conservatory costs and quotes for construction or installation. How should I plan my Nottingham, Nottinghamshire conservatory, sunroom or orangery project? You will first want to determine how much outdoor space you have available to build your conservatory and then what you’d like the dimensions to be. Conservatory planning permission is not needed if your extension meets the government’s guidelines on conservatory projects, so it is best to check these before deciding on the size and style of your new conservatory installation – professional conservatory builders in Nottingham, Nottinghamshire will be able to help you with this, too. If your Nottingham, Nottinghamshire house is within a designated area (including national parks and conservation sites) then there are further restrictions which could affect your choice of conservatory materials and styles. Once you have determined the dimensions and have an idea on what conservatory styles and materials will be feasible, then you can begin to find your ideal Nottingham, Nottinghamshire conservatory designer by browsing the designs, photos and reviews on Houzz. You can look through their portfolios, see previous projects, ask questions, find out their average conservatory cost, look at their own website and contact them directly to discuss your sunroom, orangery or conservatory installation. What should I ask a prospective sunroom specialist or conservatory builders in Nottingham, Nottinghamshire? Find a conservatory, sunroom or orangery designer on Houzz. Narrow your search in the Professionals section of the website to Nottingham, Nottinghamshire conservatory, sunroom and orangery designer. You can also look through Nottingham photos to find a conservatory, sunroom or orangery that you like, then contact the designers or conservatory builders in Nottingham, Nottinghamshire who worked on it.